Marley is growing in popularity as a name for girl dogs. It’s a great name for tough, outgoing pets. 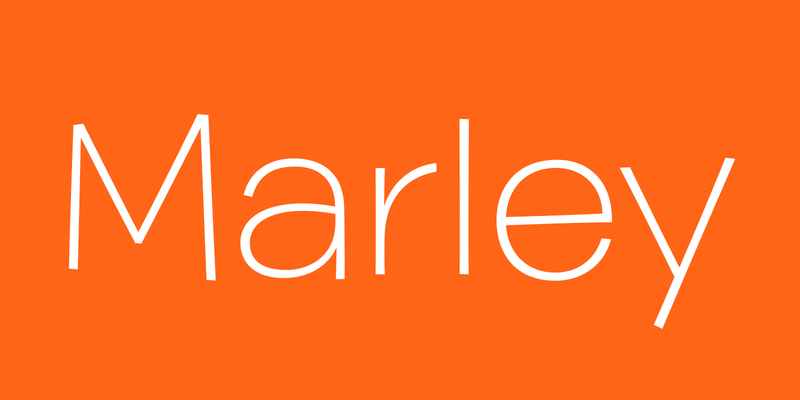 Find out more about dogs named Marley. About This Name: The name Marley exploded in popularity after the well-known book and movie Marley and Me, which chronicled a Labrador Retriever’s life with his humans. Other famous Marleys include reggae musician Bob Marley and actress Marley Shelton. Is Your Girl Dog Named Marley? Leave us a comment below with a photo of your Marley! Why do you think Marley is the perfect name for a girl dog? We can’t wait to hear from you.